The natural vegetation in the Garden is a savanna which is an intermediate between Mixed Lowveld Bushveld and Sour Lowveld Bushveld. The landscaped part of the Garden is characterised by magnificent lawns and indigenous plants. The Garden has one of the largest collections of South African trees with over a third of the Lowveld’s 800 indigenous woody plant species represented in the Garden. The indigenous LM or Durban grass (Dactyloctenium australe) has been used exclusively as a lawn grass in the Garden and grows more easily in the shade than most other grasses. 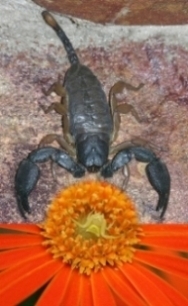 A combination of the two: habitat and family groupings, e.g. the ferns are situated in the forest sections where they are best suited. As the Garden straddles the Crocodile and Nels Rivers, natural riverine vegetation predominates alongside the rivers. The abundant natural vegetation in the Garden has created a bird-watcher’s paradise with over 243 bird species having been recorded in the Lowveld Garden. These include the African Finfoot, Crested Francolin and Emerald-spotted Wood Dove. Nocturnal birds include the Spotted Eagle-Owl and Square-tailed Nightjar. Almost 75 species of reptile (55) and amphibians (18) have been recorded in the Garden. 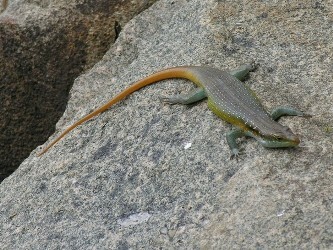 Visitors are bound to come across a range of reptiles during their walks through the Garden. More than half of the reptiles recorded in the Garden are snakes, ranging from the commonly recorded Mozambique spitting cobra and black mamba to the spotted bush snake and twig snake. The Mozambique spitting cobra is considered one of the most dangerous snakes in Africa, second to the mamba. 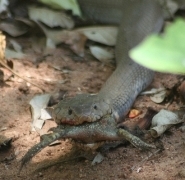 Like the mambas and other cobras, the Mozambique spitting cobra is a front-fanged snake and its fangs are especially modified for ‘spitting’ venom which when sprayed can cover a distance of 2m.The venom of the Mozambique spitting cobra is cytotoxic (cell destroying) but an antidote is available. Without prompt attention serious tissue loss occurs, resulting in the necessity for skin grafts. If there is venom in the eyes, they must be washed in clean water, nothing else, immediately. Fortunately, no one has ever been bitten by a snake at the Lowveld NBG. You can count yourself lucky if you even see one. Mammals to be seen in the Garden include the vervet monkey, dwarf mongoose, tree squirrel, thick-tailed bushbaby and hippopotamus. 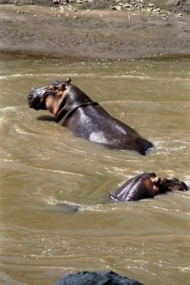 The hippopotamus is a selective nocturnal grazer and is known to consume about 40kg of grass per night and is therefore rarely seen during the day. The sub-tropical weather experienced in the Garden contributes extensively to the presence of butterflies throughout the year. 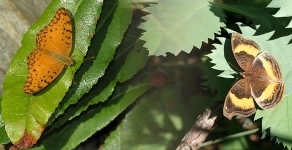 Some Acraea species have a very interesting relationship with the wild peach tree. Their larvae feed on the leaves of the tree which contains a poison similar to cyanide. This poison is transferred to the adult butterfly. When a predator tries to eat this butterfly they very soon discover that it’s more than they can chew!